Etsy is a place where you can find all kinds of things, including chess related products. 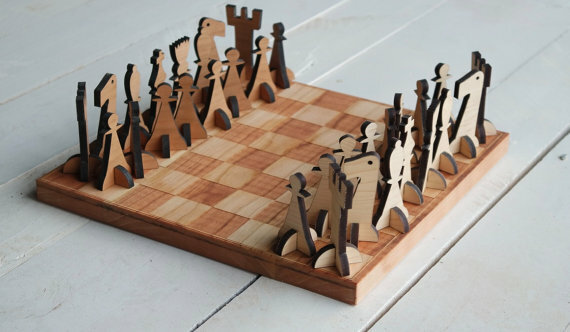 I’ve always been a huge fan of Etsy and when I recently noticed how many amazing chess boards they sell there, I wanted to make a list of some of the coolest chess sets I found! 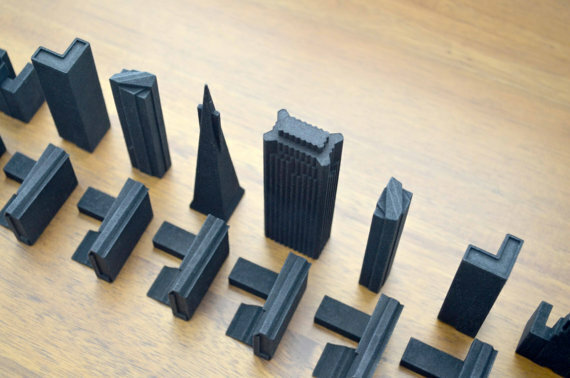 Creating a chess set from a city sky line is such an amazing idea that I wanted to mention this chess set first on our list. While some of the designs are kind of hard to play with, it makes a great gift and they offer many more cities on their profile page. 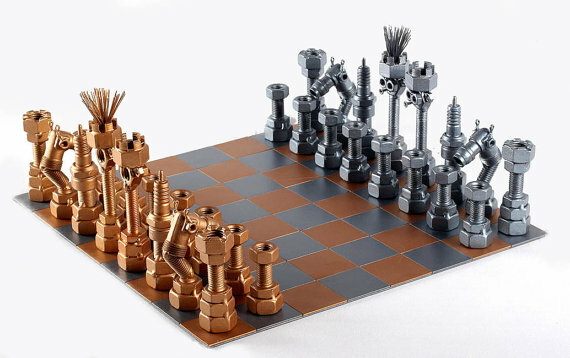 I’ve always been fascinated by chess pieces made out of metal and especially ones made out of tools or scrap metal. This chess set takes an extremely fun approach to this niche! Breakfast in bed? 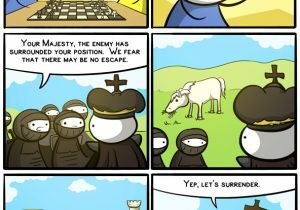 Why not chess in bed. This might be the most ingenious idea we found on Etsy. 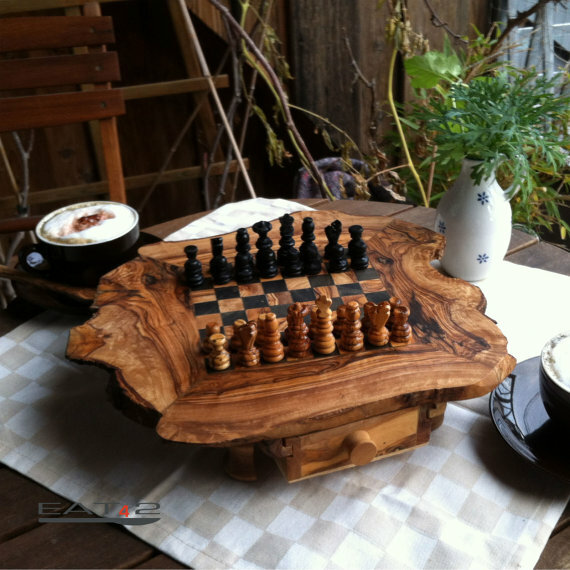 A chess board that also doubles as a breakfast tray AND a laptop stand for when you want to work on the sofa. 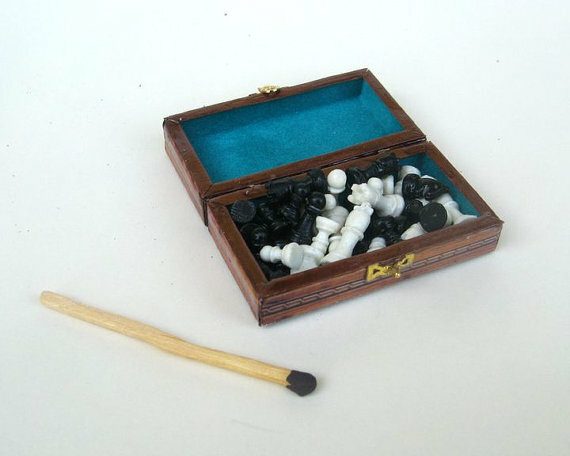 If you are planning to upgrade your doll house, why not buy this miniature chess set! Just don’t forget where you place it since you might forget about it. 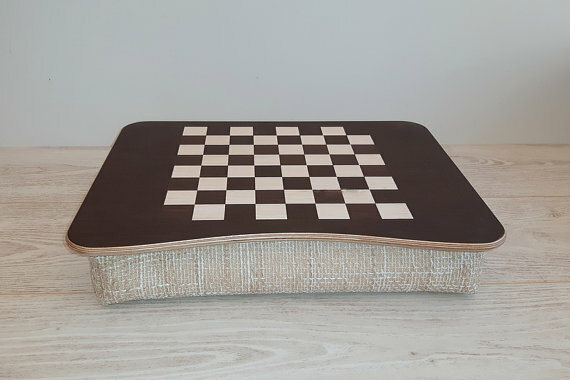 Etsy has a lot of sellers focusing on these kind of chess boards and it was hard to pick my favourite. However adding a locker for the chess pieces to an already beautiful chess board made this one the winner! The pieces of this fun chess set are flat but are made to stand up. From above it might be hard to read the game but moving around the board the pieces come to life. With so many of today’s chess pieces made out of plastic, it was so nice to see such a natural and beautiful take on the piece design. The whole set looks like it would look amazing on a cottage or a cabin. 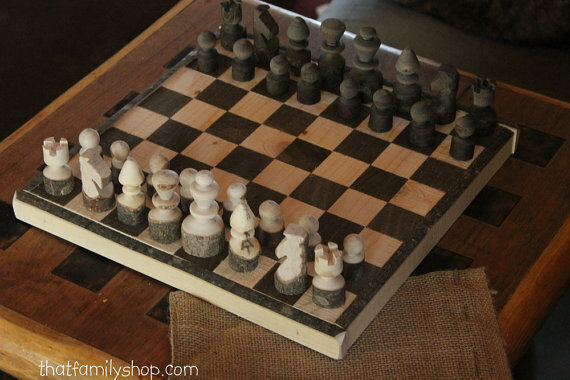 Blacksmith chess set for the real manly men. 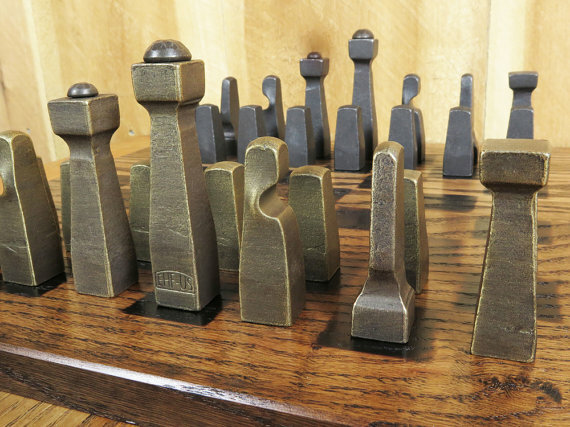 This chess set is made by an actual blacksmith and would look amazing in any room! 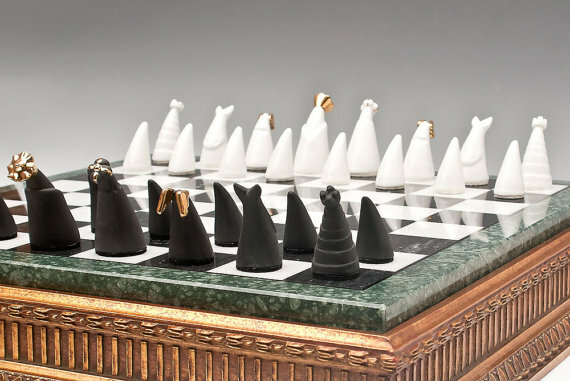 Wonderfully hand-made porcelain chess set that screams luxury. What a perfect gift idea! 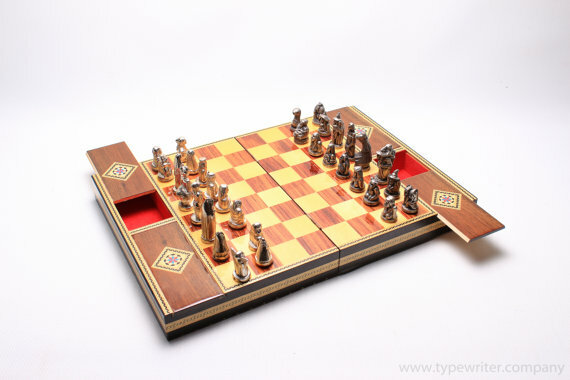 Extremely beautiful and handy Spanish chess set that has useful lockers for the pieces and folds into a nice box after the game.